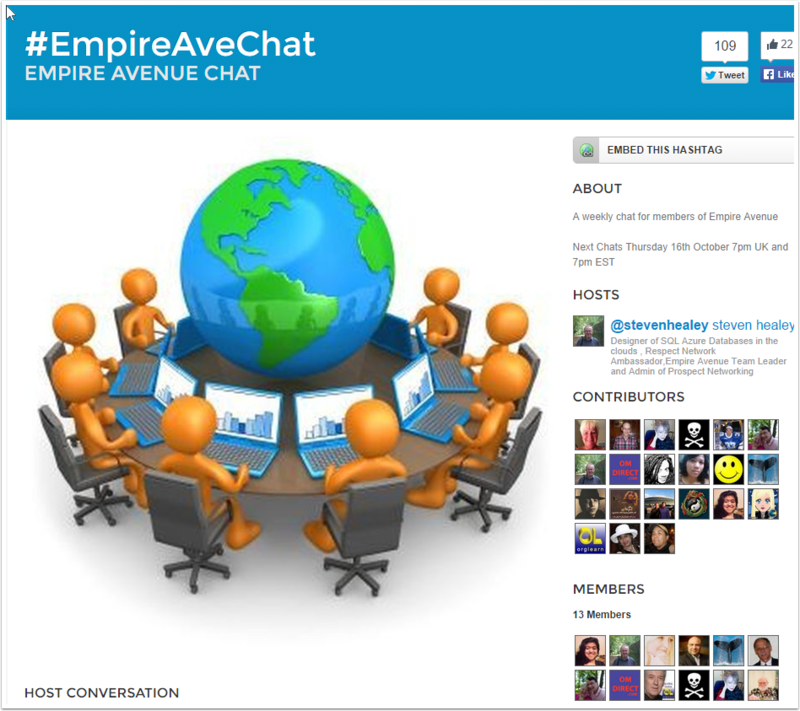 This Thursday sees the third of our Empire Avenue twitter chats and we invite you to join Steven , Erin , Nance ,Dennis , Simon and Michelle for an hour of discussions on Social Media. The topic of discussion this week is Missions . Missions have evolved over the years and we will be sharing ideas on how to create missions and run them effectively, We welcome your ideas and your questions.